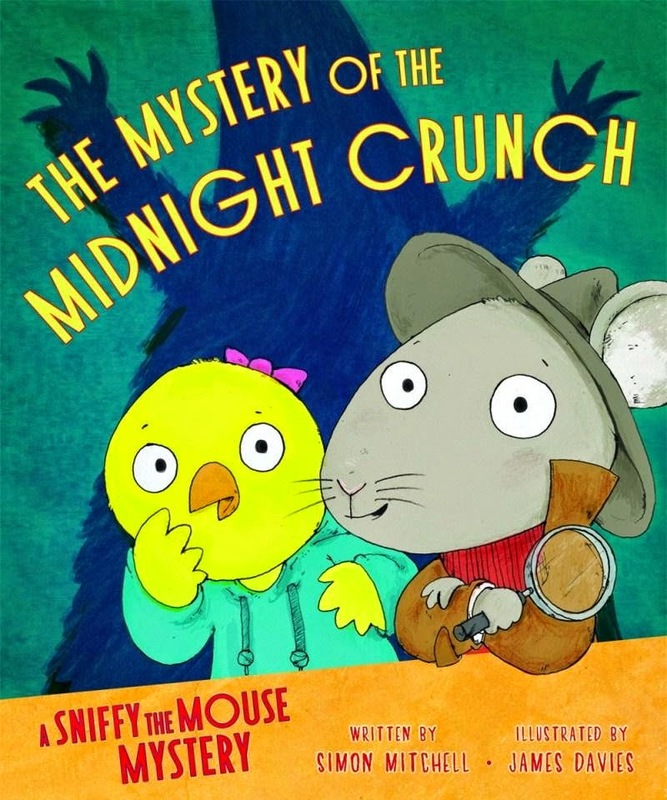 No mystery is too big or small for Sniffy the Mouse Detective to tackle. His standard fee is two pieces of cheese a day, plus expenses, and everyone agrees he's the best mouse detective in town (possibly because he's the only mouse detective in town). So when Mrs Hopper sees a monster in her kitchen one night, she knows just who to call for help. Sniffy doesn't believe in monsters, but his best friend Cooper the Pigeon isn't so sure, especially after Mrs Hopper describes what she saw: a hideous creature with thick green fur, huge feet and a razor-sharp horn. And as if that wasn't bad enough, the monster made a dreadful crunching sound like gigantic teeth chomping through bones. Sniffy instantly puts his deductive skills to work, examining Mrs Hopper's kitchen and piecing together the clues. He's still convinced there's no monster, so he and Cooper decide to spend the night in the kitchen, ready to catch the mysterious intruder red-handed. Will Sniffy be proved right or are there really monsters out there? And if there is a monster, will Sniffy and Cooper manage to escape those fearsome crunching teeth? AAAGH! This is the first Sniffy the Mouse Mystery and I look forward to more. It's fun, fast-paced and a little bit quirky. It's also a clever reminder that things aren't always what they seem.